Contrary to popular belief, guitar dealers actually talk to one another once in a while. And, to have heard them talk last Summer and Fall, you would have thought the bottom had fallen out of the market. There was all kinds of moaning and complaining going on. “Nothing is selling.” “Seller are asking stupid prices.” “The are too many Strats on the market…” and so on. I don’t generally speak to the broader market-I simply don’t sell enough of anything other than ES models to have any real street cred. OK, maybe big tweed amps but that’s a different market from guitars in so many ways. First, what the heck gives me the credentials to analyze this market? Well, look at the market itself for ES models. 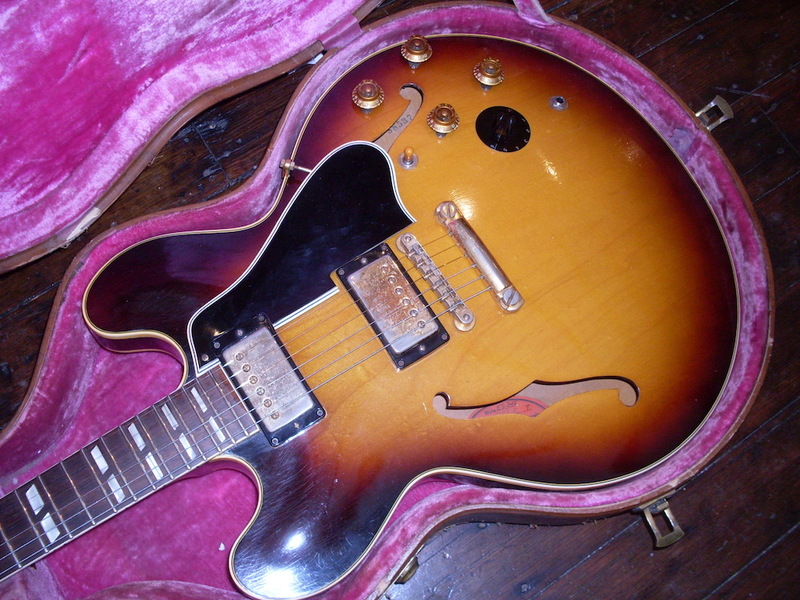 I would say that the average big dealer might sell ten 58- 64 ES models a year and perhaps out of that one two or maybe three dot necks. 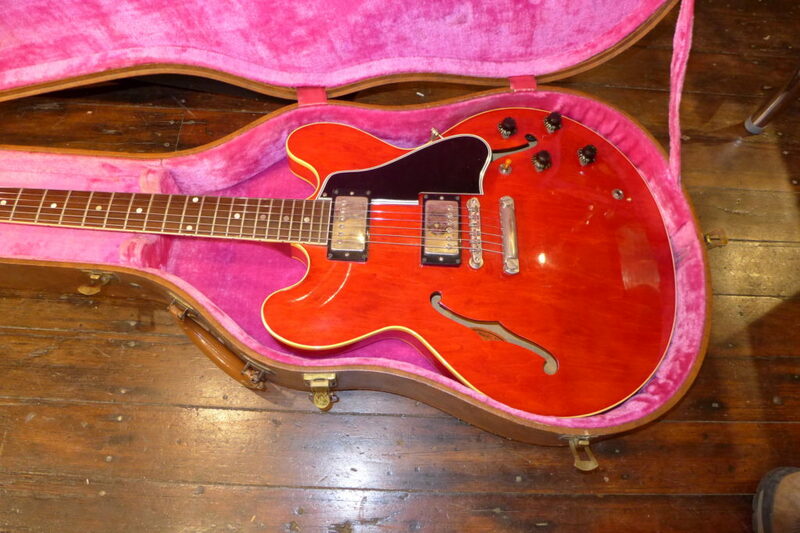 The smaller dealers with 5o guitars or less in inventory, might sell half or a third as many. 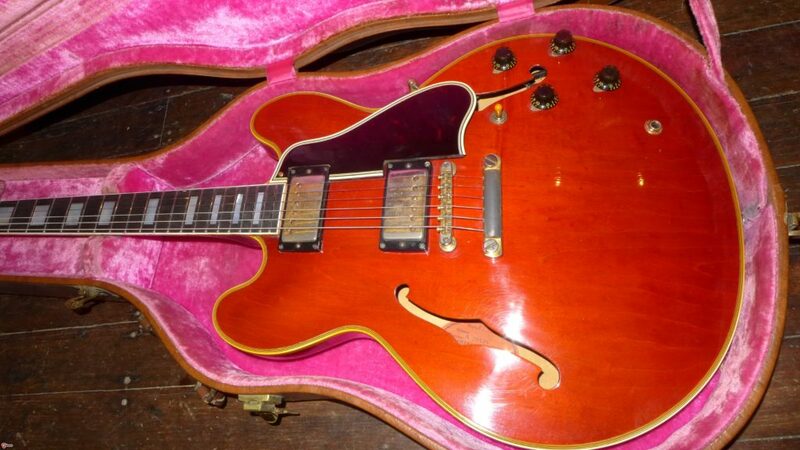 I sold 47 1958 to 1965 ES semi hollow guitars last year. Seventeen were dot necks. 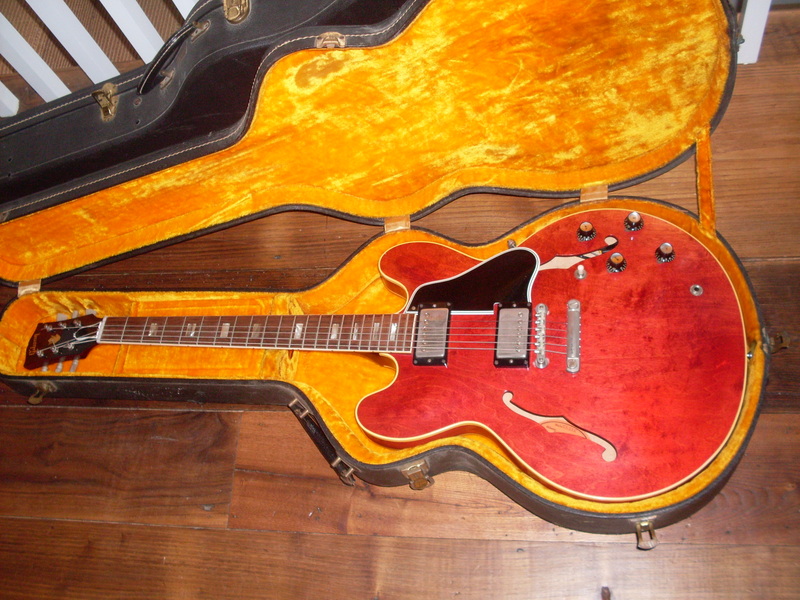 Right now, there are 29 1958-1964 ES-335s on the market. One third are mine. So, I know the market based not on research but on my own real world numbers. Dot necks can’t really be looked at as a single category any more because the 58’s and 59’s have diverged in a big way from the 60’s and 61’s (and the handful of 62’s). You can lump early 60 335’s in with 59’s but these two markets have not acted the same at all. The 58 to early 60 market was strong all year with prices climbing through the first two quarters, stabilizing through the Summer and Fall and starting on up again in Q4. The problem is folks asking too much for them has stagnated much of the market. 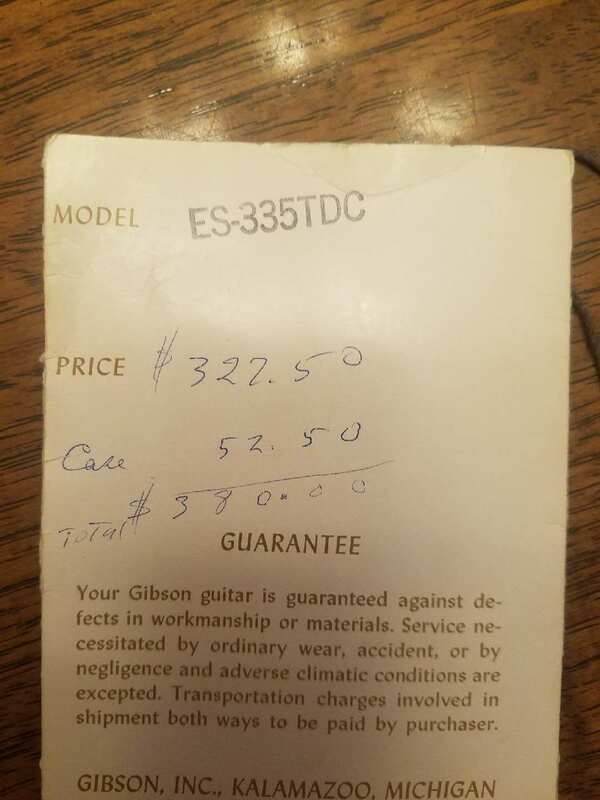 A sunburst 58 or 59 335 is not, in my opinion, currently a $45-$50000 guitar and yet four out of seven on the market right now are in that range. The other three? They are in the $32K-$39K range and all three belong to me. So, either they are wrong or I’m wrong. The difference is that my guitars are selling and theirs appear not to be. 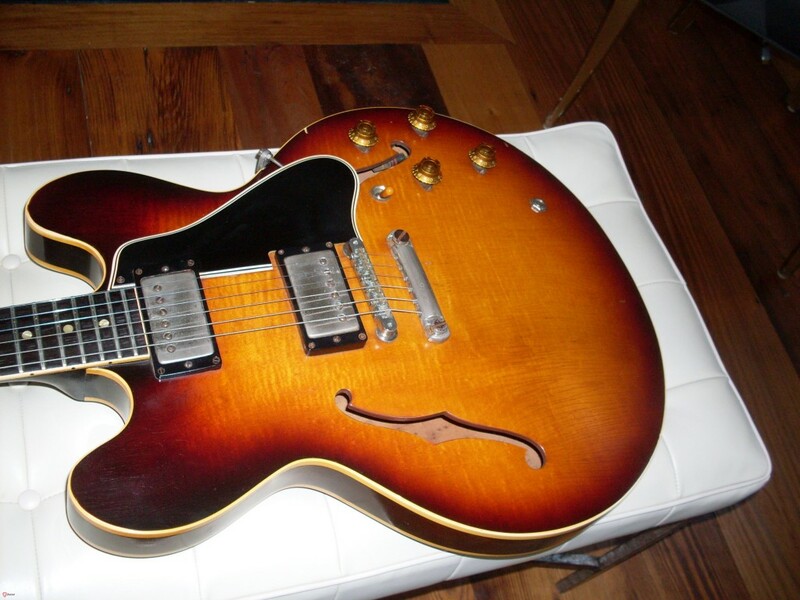 I think the current range for no issue 58 and 59 stop tail ES-335’s is $35,000-$45,000 depending on condition and other factors (double white PAFs adds a few thousand, figured tops add a few as well). More than $45K? Not yet unless its a blonde. The later dot necks have not been nearly as strong. It’s still the big neck vs skinny neck thing. By mid 60, the necks were very slim-still wide-but slim from front to back. A 61 dot only occasionally reaches $20K. A super clean one might hit $23K and asking prices can be much higher but the sale prices are in block neck territory. I don’t sell that many 61’s because I don’t buy that many. That market is relatively stable right now. The sleeper in the dot market is the early 60. It is 100% identical to a late 59. Everything…the knobs-still bonnets, the neck profile-still medium “transitional”, the pickups-still long magnets, the tuners-still single ring, the caps-still bumblebees. All that changed by June but the early 60 averages $5000-$10,000 less than a late 59. But the “magical year” of 59 has some kind of voodoo cachet that commands the big dough. Block necks are the interesting group this year because the dealers and most individual sellers somehow have gotten the impression that a clean block neck is a $25,000 guitar and an average one is a $20,000 guitar. For what it’s worth, I’ve sold at least a hundred blocks in the past five years and I’ve never, ever gotten more than $20K for one and that one was mint. Somebody else surely has gotten more-there are folks who don’t pay much attention to price when they really want something but that’s the exception, not the rule. But the market is trending upward and I have acknowledged that. I have a 62 PAF block for sale right now for over $20K. I hope I get it. Bigsby/Custom Made blocks have crept into the $15K range this year and exceptional examples even higher. That’s way up from last year. 64’s are the most popular due to the bigger neck but I think PAF 62’s are the one to watch. I find them consistently excellent and many have neck profiles that are what I would call medium rather than slim (.83″ at the first and .90″ at the twelfth). Some of those late dots are .79″ and .87″ which is really slim. I’m running out of space, so I’ll cover 345’s and 355’s separately. There were some pretty striking changes over the year in these guitars. Figured tops are not the norm on a 335 but every once in a while, one pops up. They command a premium for sure but not a ridiculous one. This 59 sold for well under $40K early in the year. I think figured dot necks are a great investment guitar.